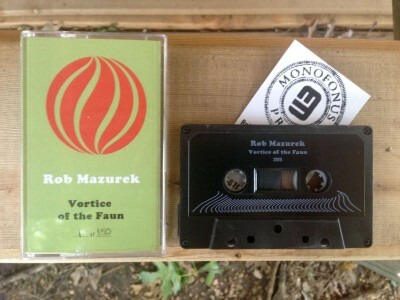 Astral Spirits is unbelievably stoked to unleash a brand new Rob Mazurek tape “Vortice of the Faun” into the world! 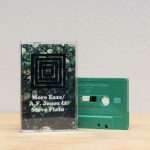 This is Mazurek’s second tape release after the absolutely stunning “Alternate Moon Cycles” release on International Anthem last year. 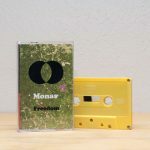 But more interestingly this is Mazurek’s first solo electronic outing since his equally stunning “Sweet and Vicious Like Frakenstein” way back in 2004 on Editions Mego. This tape holds 80 minutes of pure abstract beauty: at times harsh, at times soft, but always moving forward into new territories as Mazurek has done throughout his 25 year career. 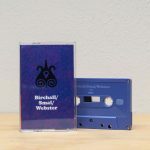 #17 on Top 50 of 2015 at TOME TO THE WEATHER MACHINE. 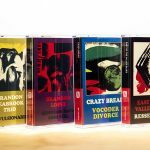 Review at TINY MIX TAPES. Review by Matthew Grigg for FREEJAZZBLOG.